So have you ever applied with a staffing agency and never got a call back? Or if you did get an opportunity it wasn’t the right one? Or are you in the job market place today and you’ve never worked with a staffing agency and you’re wondering how to apply with one? 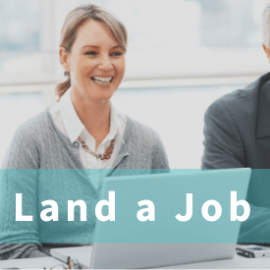 Aaron Grossman, the President and founder of TalenLaunch, shares with you the do’s and don’ts of applying with a staffing agency. Research. Make sure you’re applying with the right agency for you! There’s basically two types of agencies: generalist agencies and specialized agencies. Interview. Make sure that you dress properly and discuss the positives and the negatives of your career path. Follow-up. Once you’ve actually registered and applied and interviewed with a staffing agency, you’re going to be one of the thousands of people that are literally in a staffing firm’s database. If you simply follow up, you will be top of mind. Skills: Do not put skills in your application that you don’t have. This can hinder the recruiter’s ability to find the right job for you and could lead to jobs that you’re not qualified for. Desperation: Times are tough and and we all know that. However if you come across as desperate, you may show the wrong motivation that could damage your career path. Treat the staffing agency like your Employer: Treat it like an employer because that’s what they are going to be for you, they are going to be signing your paychecks when you land an assignment. So make sure that when you’re coming in for the interview that you’re treating it as such.